BRYAN EATON/Staff photo. Gunter Sonntag, left, and his granddaughter, Claire Ward, 10, both of Amesbury sort and lay out pieces of glass on Wednesday afternoon. 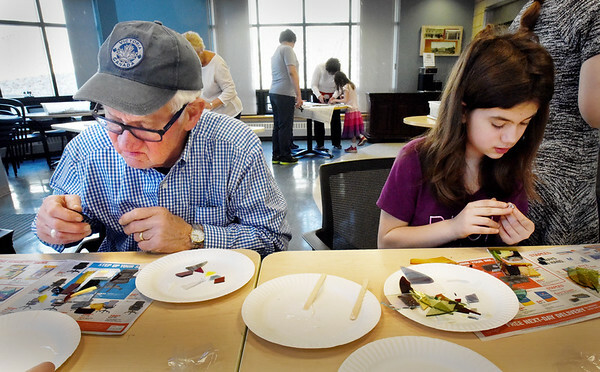 They were at an Intergenerational Mosaic Workshop at the Amesbury Senior Center and co-sponsored by the Children's Room at Amesbury Public Library.